Sponsored By Blue Apron. All opinions are our own. The Mediterranean diet is touted as one of the world’s healthiest diets. Abundant in fruits, vegetables, whole grains, legumes, olive oil, and lean sources of protein like fish and protein over red meat, this healthy eating plan is based on typical foods and recipes of Mediterranean-style cooking. And while we are never ones to advocate specific “diets,” the Mediterranean diet is simply a way of eating and a great example of how you can make well-balanced food choices that taste great, boost your health and even promote weight loss! So if you’re new to the Mediterranean diet and looking for easy Mediterranean recipes for beginners, or if you’ve been eating this way for awhile, we’ve got some great ideas for you. Key components of the Mediterranean diet include: eating primarily plant-based foods like fruits, vegetables and whole grains, replacing butter with healthy fats like olive oil, using herbs and spices over salt for flavoring, limiting red meat to a few times a month or limiting to three-ounce portions, eating fish at least twice a week, eating moderate portions of cheese and yogurt daily to weekly, eating moderate portions of poultry and eggs every two days or weekly, drinking plenty of water, and drinking red wine in moderation. Much research has been conducted on the benefits of the Mediterranean diet for health. Eating like a Mediterranean has been found to reduce levels of inflammation, which is a risk factor for heart attack, stroke, and Alzheimer’s disease. 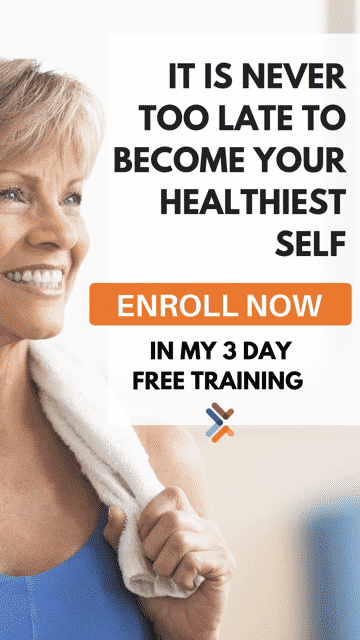 Improved weight loss, better control of blood sugar levels, reduced risk of depression, and reduced incidence of cancer are just a few more benefits of the long list this healthy eating plan has to offer. Whereas various restrictive diets can deter people, the Mediterranean diet won’t uproot everything you know and love about food. You can make simple changes over a period of time to make the diet feel less like a challenge and more like a lifestyle. Ready to get started but not exactly sure where to begin? Blue Apron is a great option when it comes to incorporating easy Mediterranean recipes for beginners. And the great thing is that you don’t have to grocery shop yourself! They’ll send you a refrigerated box full of farm-fresh ingredients right to your doorstep. And they offer a large selection of recipes, including Mediterranean ones, and are always adding new dishes to their menu each week. It’s a great place to start if you’re new to cooking or the Mediterranean diet. And pssst, if you’re one of our first 50 readers to get your Blue Apron box, you can get $50 off your first two weeks of Blue Apron! Switch out your butter for olive oil when sautéing your food. Opt for whole grains over refined breads and pastas. Incorporate more fruits and vegetables into your day by replacing typical snacks with them. Substitute fish for red meat in your meals a couple times a week. Switch high-fat dairy with skim or 1 percent milk. Make small swaps like switching mayonnaise for hummus spread in your sandwich, switch out crackers and chips for celery, carrots, or pepper strips, choose quinoa over white rice, and salmon burgers over hamburgers. After making these small shifts in your diet over the course of a couple weeks or months, you can work toward swapping entire meals to wholly reflect the Mediterranean diet. This chickpea and freekeh salad is a super delicious recipe that makes for a perfect, healthy lunch! It’s full of Mediterranean-inspired ingredients like dates, harissa, and lemony, creamy labneh (a type of cheese) for a flavor-packed bowl of goodness. Plus, it’s a great option for meatless Monday or just whenever you want to cool it on the animal protein. And don’t forget: you can get $50 off your first two weeks with Blue Apron by being one of our first 50 readers to purchase! This gluten-free salad recipe is bursting with flavor. While salads get a bad rap for being underwhelming when it comes to filling you up, a true salad aficionado will tell you that doesn’t have to be so. Hearty yet healthy, this salad is filling enough for dinner. Tasty chicken salad is wrapped in Bibb lettuce, while Greek yogurt takes the place of high-fat mayo. Sun-dried tomatoes and pine nuts add incredible depth of flavor, too! Egg salad is always a delicious treat, but the high-fat mayo content it usually comes with isn’t Mediterranean-friendly. The swap in this sensational dish is plain Greek yogurt, so you can keep your calorie and fat count low but load up on the protein. The addition of olives, sun-dried tomatoes, red onion, and various spices kick your typical egg salad up to a whole new level and bring you to the shore of the Mediterranean. If you love noodles, you’ll enjoy this fun swap that opts for potatoes noodles over your regular pasta bowl. Using a vegetable spiralizer, this recipe is not only easy and efficient, but makes little mess! With just 30 minutes from start to finish, you’ll have a bowl bursting with Mediterranean flavors, like fresh basil, feta and fresh tomato. Don’t be fooled by the name. Though great for breakfast, this quick recipe is perfect for any meal of the day. A whole wheat pita packed with eggs, feta, tomatoes, spinach and olive oil, it’s hot, healthy, low-fat, and incredibly delicious. It’s also low-carb, packed with plenty of protein, and full of fresh vegetable flavors. Total time required for this dish? Just five minutes. 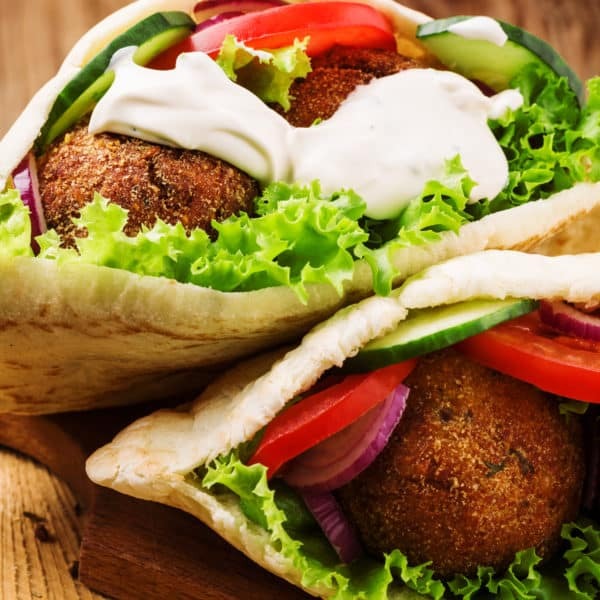 Falafel is just one of the unique, flavorful and fun attributes of the Mediterranean cuisine. But this isn’t your typical deep-fried chickpea patty. This twist on the traditional recipe is a whole lot healthier without sacrificing the taste, as the falafel is baked instead of fried. Opt for a whole wheat pita, pack in plenty of veggies, and you have yourself a well-rounded meal. The thing with pasta bakes is that they’re heavy; heavy in carbs, sauces, calories, fats and so on. Why can’t you have all the flavor in a dish like this without weighing you down? This recipe has the answer. Fresh eggplant, tomatoes, red bell pepper, onion, quinoa rotelle, basil pesto, fresh basil, and grated Parmesan cheese make a bake oozing with warmth and flavor while also being oh so healthy. Artichokes are a Mediterranean delight, and are incredibly good for you to boot. This slow cooker meal is easy to make, requires just four simple ingredients, and take four hours to cook, so you can throw your ingredients in before work and come home to a house smelling of gourmet goodness. Boneless skinless chicken breasts, artichoke hearts, sun-dried tomatoes, and Annie’s Naturals Lite Goddess salad dressing create a rich and healthy meal without the fuss. What are some of your favorite easy Mediterranean recipes for beginners? Let us know in the comments below!